Pure Power Plant has been a popular and reliable strain for many years, delighting growers with its enormous yields, superior strength and rapid flowering time. This feminized autoflowering seed version gives you the opportunity to produce quality crops quickly, easily, and several times a year, no matter what your level of experience is! Pure Power Plant has been on coffeeshop menus since coffeeshops have existed. Chunky, crystal-covered and jolly effective for pain relief and relaxation, this is a variety that should not be overlooked simply because it has been around for a long time. In fact, it should be embraced for its dependable qualities! Following the success of Pure Power Plant Feminized, Sensi Seeds took a prime Pure Power Plant cultivar and crossed it with a vigorous ruderalis to create this Pure Power Plant Automatic cannabis seed strain. The result is a super-easy cannabis variety. It is recommended for beginners, people who have less confidence in their green fingers, those who need several crops per year from the same grow space, and anyone trying out a new growroom set up and needing a ‘troubleshooting’ variety. It thrives indoors under lights and can also flourish outdoors in warm climates with long summers. The indica / sativa balance of Pure Power Plant Automatic is a carefully calibrated 50-50 split. 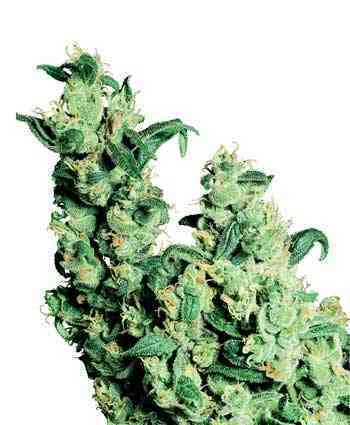 The indica component is most obvious in the growth structure, giving this variety a compact, pine tree shape with short internodes and quite stubby lateral branches. Expect it to finish between 60cm and 100cm tall. When the flowers begin to develop, about four weeks after the first pair of leaves appear, the indica traits can also be clearly seen. 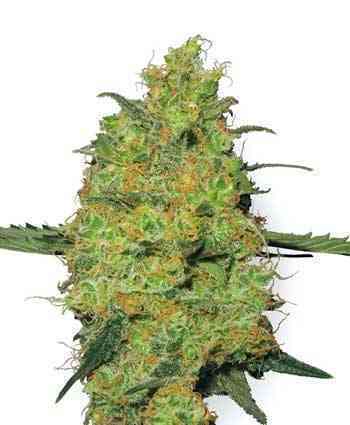 The buds are pretty dense and compact, also an area where the indica dominates the sativa side. The flowering time is about six weeks. Towards the end of this blooming period, make sure to give your plants enough ventilation and air flow to avoid possible mould issues (the same goes for curing, don’t let your hard work go to waste in the final stages!). For short plants, they produce a very high yield – another reason for the enduring popularity of this strain. Naturally, the other highly distinctive characteristic of the buds is their layer of trichomes, so astonishingly thick that it is almost like a cocoon! There are some types of weed that you can practically tell how strong they are just by looking at them, and Pure Power Plant Automatic is one example. The plants that develop from these cannabis seeds are not just feminized and autoflowering, they also sparkle beautifully! As previously mentioned, the indica elements of Pure Power Plant Automatic show up in the growth pattern and appearance. What about the sativa features? Well, they’ve been saving themselves for the stupendous effects. Expect a soaring high that’s as powerful as the name implies. Some types of weed are ‘creepers’ - you don’t immediately notice the effects until they have sneaked up on you and after a while you realise you’re high. Not this one. Power Plant Automatic hits you from the first toke, and doesn’t let go for hours! It’s a fantastic choice for physical activity such as yoga or weightlifting as it provides a clear-headed euphoria and can be quite energizing. A word of warning though – if you have never consumed cannabis before, trying this strain as your first ever experience of it is really going in at the deep end. Beginners beware! The aromas and flavours are an unusual and delicious combination of warm wood and spice with topnotes of pepper. This is a robustly pungent strain that may overpower the scent of any other strains that you might also have in your grow-space! Once harvested and cured, an additional citrus sweetness develops that fully becomes apparent when it is consumed, especially if using a vaporizer.